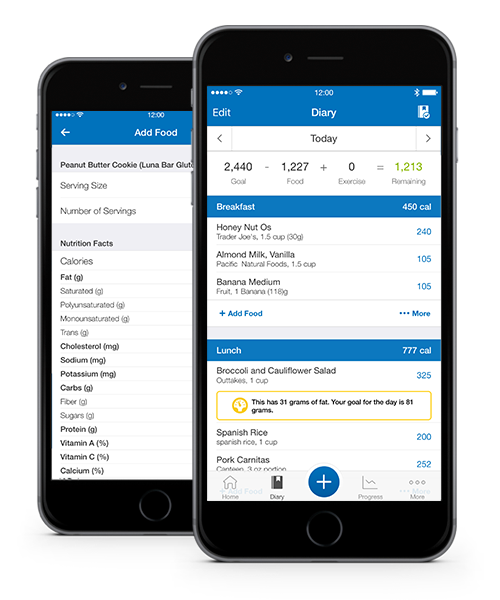 We have teamed up with MyFitnessPal, the world's leading nutrition service, to offer you better tools for keeping track of your nutrition. We encourage you to go to MyFitnessPal.com and connect your account with MapMyFitness to have both your activity and nutrition data in the same community. Keep track of what you're eating. More than 6 million foods to choose from. Quickly scan barcodes to add nutrition facts. Sync automatically with the apps you love.